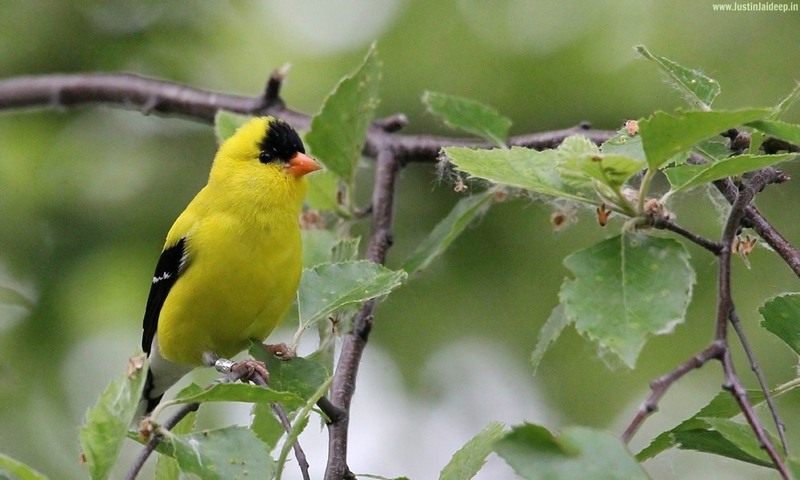 Goldfinch, the state bird of New Jersey, Iowa, and Washington, is welcome and common at feeders, where it takes primarily sunflower and nyjer. Goldfinches often flock with Pine Siskins and Common Redpolls. Spring males are brilliant yellow and shiny black with a bit of white. Females and all winter birds are more dull but identifiable by their conical bill; pointed, notched tail; wingbars; and lack of streaking. During molts they look bizarrely patchy. A small finch with a short, conical bill and a small, head, long wings, and short, notched tail. Adult males in spring and early summer are bright yellow with black forehead, black wings with white markings, and white patches both above and beneath the tail. Adult females are duller yellow beneath, olive above. Winter birds are drab, unstreaked brown, with blackish wings and two pale wingbars. These are active and acrobatic little finches that cling to weeds and seed socks, and sometimes mill about in large numbers at feeders or on the ground beneath them. Goldfinches fly with a bouncy, undulating pattern and often call in flight, drawing attention to themselves. The goldfinch’s main natural habitats are weedy fields and floodplains, where plants such as thistles and asters are common. They’re also found in cultivated areas, roadsides, orchards, and backyards. 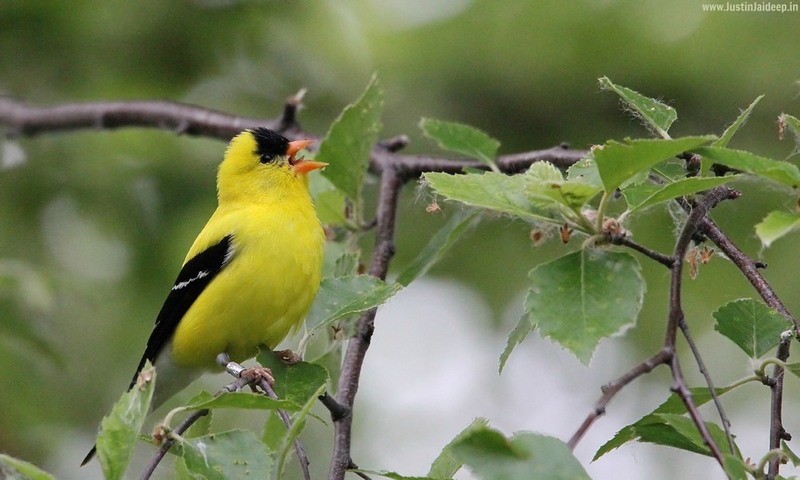 American Goldfinches can be found at feeders any time of year, but most abundantly during winter.